SALT LAKE CITY, UTAH, February 12, 2019 – OrthoGrid Systems, Inc., a leading innovator in surgical imaging, workflow efficiency and decision-making support in orthopedic surgery, today announced that its new PhantomMSK™ Hip Preservation System, with novel new applications for peri-acetabular osteotomy (PAO) procedure and treatment of femoral acetabular impingement (FAI), will be unveiled at the 2019 annual meeting of American Academy of Orthopaedic Surgeons in Las Vegas, NV. OrthoGrid Systems will be in Hall A, booth #625. OrthoGrid’s PhantomMSK™ System is a digital platform for orthopedics that also includes patented solutions for total hip arthroplasty and other in-process applications. In conjunction with OrthoGrid’s HipGrid® and HipGrid® NINE product lines, the PhantomMSK™ offers a clinically relevant, cost-effective, and completely mobile solution that can be installed in either ambulatory surgical centers or hospitals. For more information about OrthoGrid System’s portfolio of orthopedic solutions, please visit our website at http://www.orthogrid.com. 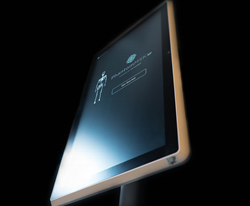 OrthoGrid Systems is a rapidly expanding global leader in intraoperative imaging technologies targeting component and anatomic alignment, imaging efficiency, optimized visualization and decision-making support for orthopedic surgery. OrthoGrid specializes on leveraging the latest innovation in technology to create practical and efficient solutions available or in development for hip arthroplasty, hip preservation, trauma and other common procedures performed over 10 million times per year globally. Learn more about OrthoGrid and our products by visiting our website at http://www.orthogrid.com.